The Outer Cape Chorale is a welcoming, non-auditioned chorus that fosters joyful, excellent singing through diverse repertoire. We strive to bring the inspiration of choral music to our community. Our membership varies from season to season, with anywhere from 120 to 150 singers performing at each concert. 120 singers will make joyous music at our May 2018 concert, “Sea, Sand & Song – the Inspiration of Cape Cod”. 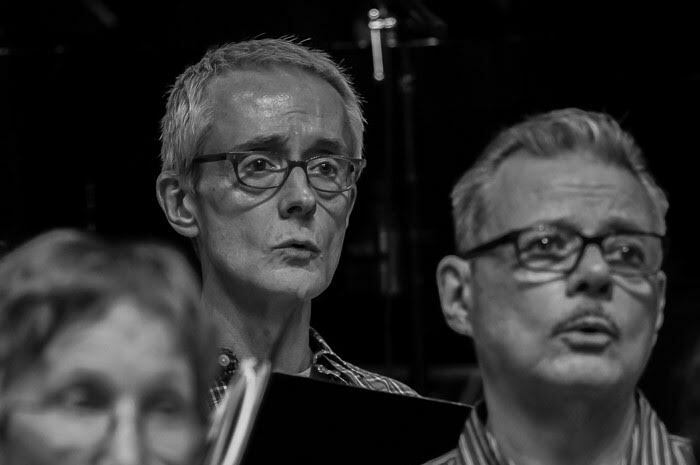 The Outer Cape Chorale was founded in 2002 by Jon Arterton and a dedicated group of supporters. Our first performance was May 4, 2002, with 72 singers and 4 instrumentalists. The performance was so well received that an encore performance was held on June 1, 2002. The Chorale has performed continuously since that time, presenting distinctive musical programs from classical to jazz, from Broadway to the Beatles, from choral classics to music from Africa. Before the Chorale, there was the Provincetown Choral Society, led by Founder and Musical Director Betty Kelly from 1966-2001. Betty has been a dedicated member of the Outer Cape Chorale ever since and still graces our stage today. Thank you for everything and farewell to our founder Jon Arterton and his husband James Mack! Jon and James currently reside in Gulfport, Florida. Jon launched his new chorale, the One City Chorus this spring in St. Petersburg, Florida. Jon Arterton announced his plans to leave the Outer Cape Chorale in 2015, due to his upcoming move to Florida with husband James Mack. We had the incredible fortune to enlist Allison Beavan to take the baton to lead the Chorale through its next chapters. See the Our Leadership page to learn more about our wonderful new Artistic Director, Allison Beavan!